And we're back! 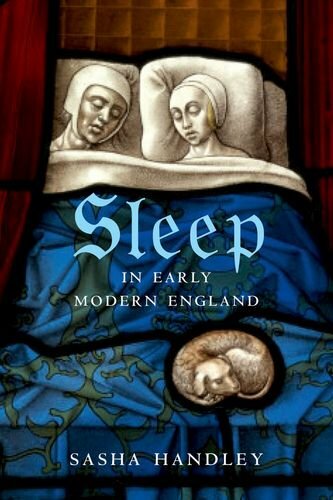 Still mad on sleep (it is winter after all - who isn't), so for Episode 4 we caught up with Sasha Handley, author of Sleep in Early Modern England and Senior Lecturer in Early Modern History at the University of Manchester. She reveals that there was a time, not even all that long ago, when we actually cared about sleep. So much so, in fact, that, as a society, we had developed a whole set of practices to ensure that we slept as well as we could. This included everything from sleep recipes, sleep charms, the sinister-sounding candle-magic, and rituals around cleanliness and bedlinen. This was before modern technology - before electricity, even, and nighttime presented an opportunity to close out your day, switch off, and turn your mind to greater things before surrendering to the unknown of nighttime. Tune in to discover what we can learn from the past bring us a better sleep experience, with a few good giggles along the way!